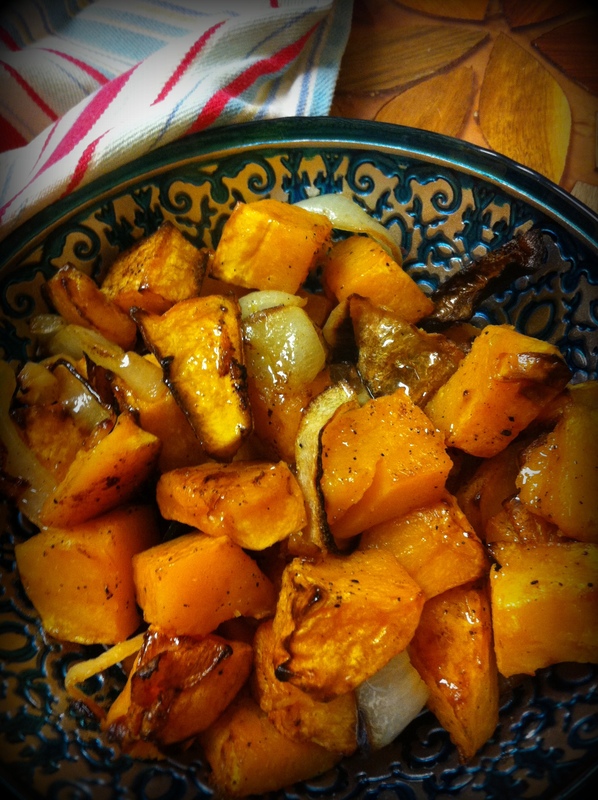 Turn squash onto baking sheet (I like a clay sheet) drizzle lightly with olive oil, dust with salt and pepper. Roast at 425 until just fork tender – 30-45 minutes. Remove from roasting pan, drizzle a very little bit of extra good quality olive oil, season to taste with salt and pepper. This entry was posted in Recipes, Vegetables and tagged butternut squash, onions, roasting, side dish, vegetables by Chatty Kathy. Bookmark the permalink.